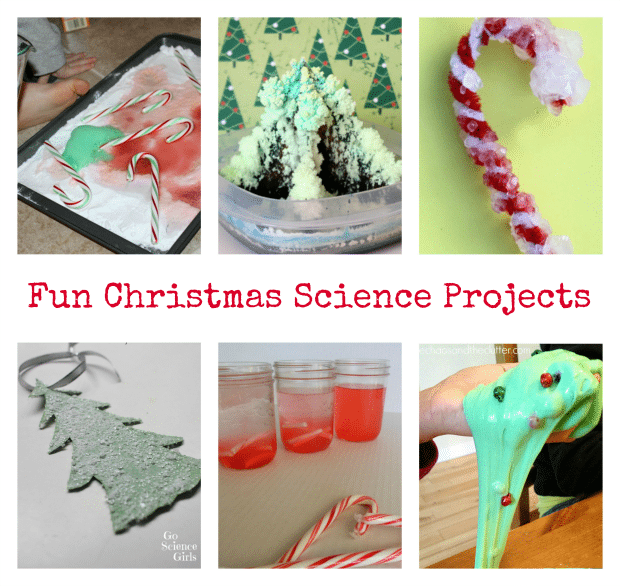 Christmas is the perfect season to take on a few fun science projects with the kids! 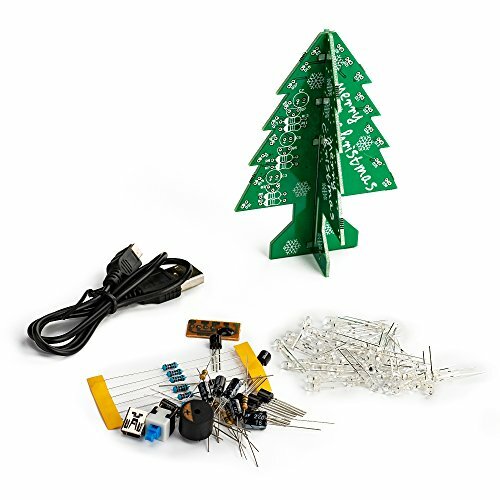 Chances are you likely have all of the supplies for these six Christmas Science Projects for kids. School might be taking a break for the holidays, but with these hands-on projects your kids will be learning and exploring the world around them, and having tons of fun at the same time! 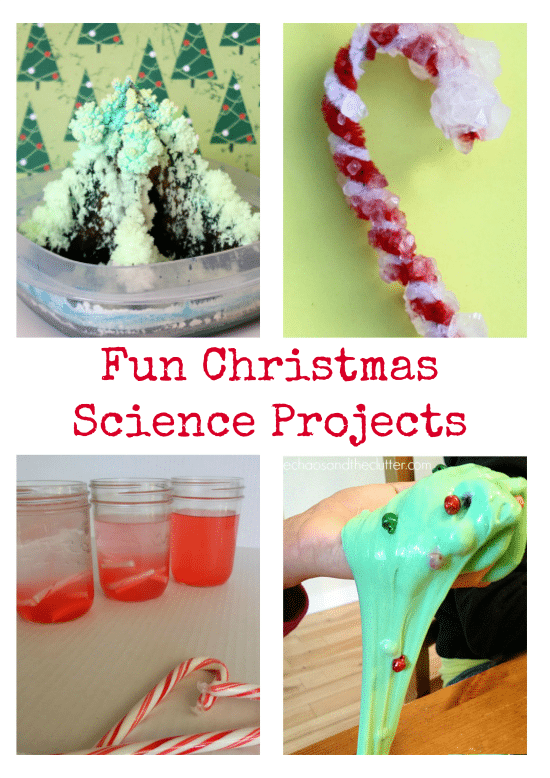 Which of these 6 Science Projects to Try This Christmas do you think your family would most enjoy? I think it will be a toss up between Jingle Bell Slime and Candy Cane Science here! 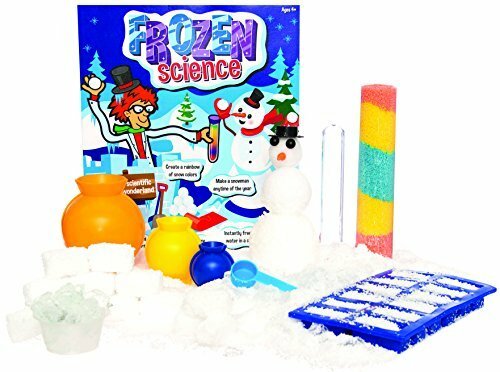 If you have a favorite Christmas-themed science project for kids, I would love to hear about it! These are pretty cool science projects, my son would love doing these. These look like fun projects! My grandsons would like to make the Crystal Candy Canes! I think the crystal candy cane would be really cool, but I’m guessing they will want to do the slime one first. I had to pin these for future use. I going to share it with a science teacher friend of mine. My grandsons would love to make the Jingle Bell Slime! The science teacher at my school would LOVE these! I am going to share. These science projects look like absolute fun. Can’t wait to try them for Christmas this year! I am glad I was glancing through some of your crafts because that is what my kids want for their church group. Thanks so much for sharing this and giving them some ideas for things to make now. These look like fun projects for us to do over the Holiday break this year. 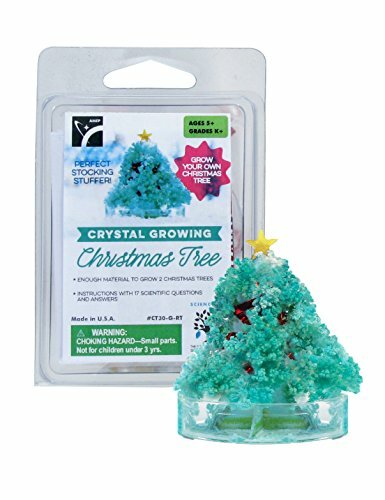 I especially like the salt crystal trees. Thanks for sharing these ideas!